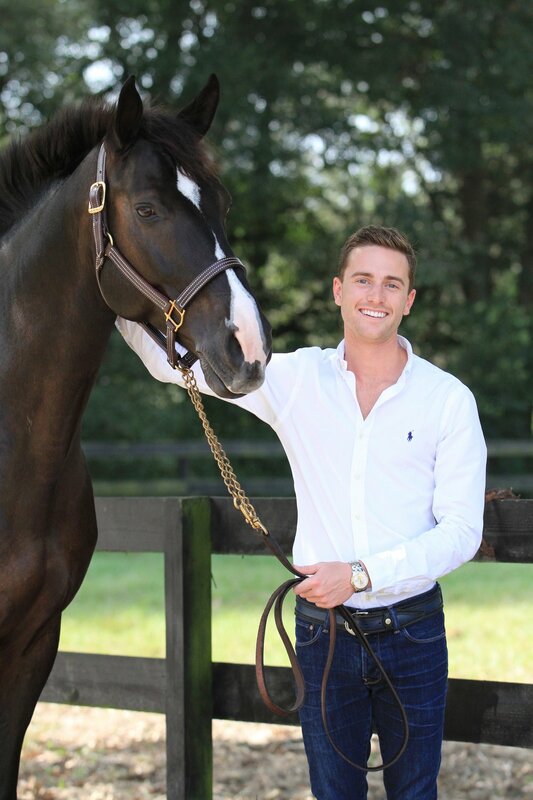 Prior to claiming the USEF Talent Search Finals and the ASPCA Maclay titles in 2012, Jacob’s strong passion for horses developed at a very early age through the riding program at McDonogh School and on his family farm in Maryland. As a young teen, Jacob became well known not only for his success in the hunter and equitation rings but also for his sportsmanship, positive attitude, and genuine interest in helping others. After training for 2 years on the show circuit with Heritage Farm, Jacob went on to pursue a degree in International Business at Rollins College, in Winter Park, FL to graduate with honors in May of 2017. He interned one summer with Lauren Hough in the UK where he took several horses to 2* and 3* shows competing in everything from Young Jumpers all the way to Grand Prixs. The following summer, he rode his mare, Zilvana, to the North American Young Riders Championship Team Gold Medal in 2015 under the guidance of Rachel Kennedy and ESP Farm. Now, Jacob has gained professional status and is off to a great start at Team Rakowsky where he rides, trains, and shows hunters and jumpers. This 2017 season in Wellington, he won the inaugural Deeridge National Hunter Derby on Team Rakowsky Equestrian’s J’adore and has brought home several top placings at WEF in the 1.40m and 1.45m jumper divisions. He looks forward to a bright future with the incredible team at Team Rakowsky Equestrian.